Our engineers have extensive experience in helping clients solve the hard problems when it comes to piping engineering and stress analysis. Let us help you solve your issue too. We design and manage brownfield modifications with our overriding aim being to minimise plant disruption while satisfying project objectives. For us and most importantly for our clients, that means getting it right first time. Our team specialises in the brownfields environment and has seen firsthand the negative consequences of design and construction mistakes – therefore we are particularly attuned to this need. We offer detailed piping survey, layout and design through an experienced and responsive team. 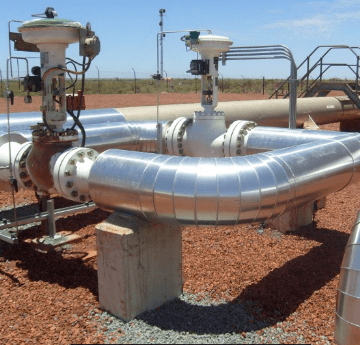 We can bring to your project this experience gained from executing projects across the entire spectrum of facilities and scopes including debottlenecking, brownfield expansions & modifications, operations support and maintenance activities specific to the piping/mechanical discipline. We can assist during FEED and detailed design to help get this important aspect of your plant right. We employ our own software which has been used for years by top-tier clients for flare system vibration checks. We can customise the checks performed as required to account for client preferences. Where necessary we can also employ FEA for advanced assessment of critical components.